“The Gown, The Slipper, The Kiss and The Prince. Under it all, every girl believes in the dream”. Kirstie Kelly has done it again in capturing the gowns of the Disney Princesses we love most. 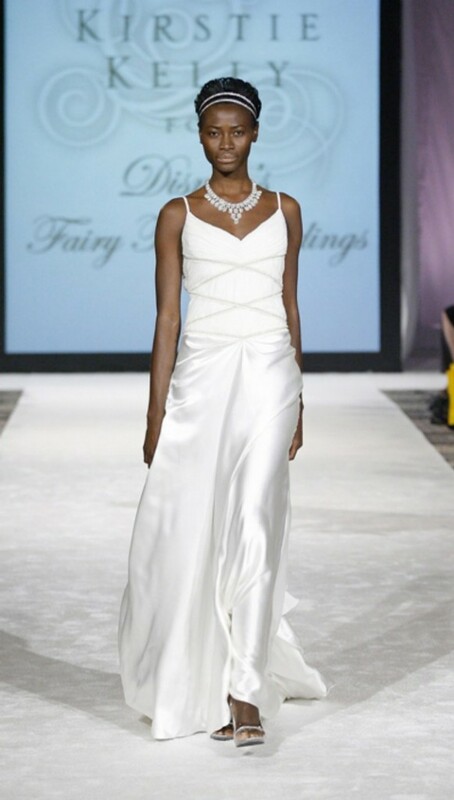 In her newest collection she is featuring the Princess Tiana wedding gown from the movie, The Princess and the Frog. The simplicity and elegance of this gown is what I adore most. Interested in this gown? Well check out Kirstie Kelly for Disney’s Fairy Tale Weddings for a location close to you! In one of her wedding gowns you are sure to be a Princess for the Day.